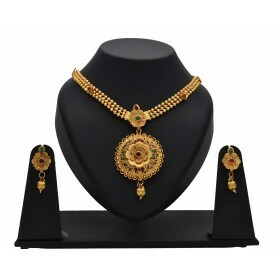 Elegant Gold Plated Designer Pendant Sets Combo. A combo of three simple and classy gold plated designer heart pendant sets. It is apt for daily office or college wear. An elegant gift for loved ones on friendship day or valentine's day. A cute and elegant combo of three gold plated designer pendant sets. Pair it with any Indian or western attires for look simple. It is apt for daily office or college wear. An elegant gift on friendship day. A combo of three simple and elegant gold plated designer synthetic Ruby and AD pendant sets for teenagers. It is apt for daily office or college wear. An elegant gift for friends on friendship day. A cute and elegant combo of two gold plated designer Matte finish small pendant sets. It is apt for daily office or college wear. An elegant gift for teenagers on friendship day. A combo of three simple and elegant gold plated designer stone pendant sets for friends. It is apt for daily office or college wear. An elegant gift for friends on friendship day. 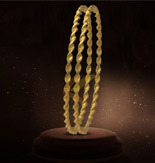 This Gold plated Chain presents a traditional Knot on centre, which is called "Pavithrakkett" in Kerala; which means "Sacred knot". 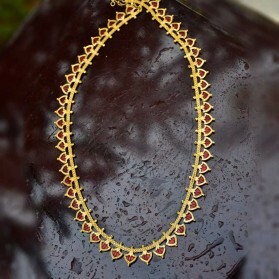 Further detailed with red beads on each strand end, this simple gold plated ethnic necklace perfectly accentuates a natural neckline shape on any occasions. 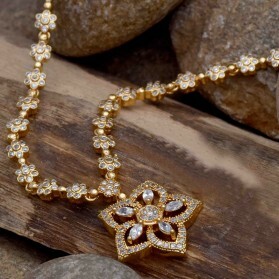 Gold plated Leaves and Flower design pendant with Rhinestones in Singapore chain. Team it with any out fit on any occasions. 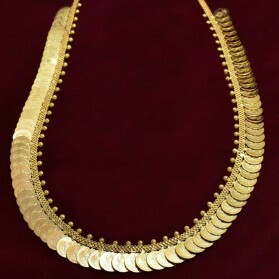 Gold-plated pendant necklace intricately studded with stones in the form of triangle motifs pendant interlinked in a designer chain, with tassels of golden beads and matching adial earrings. 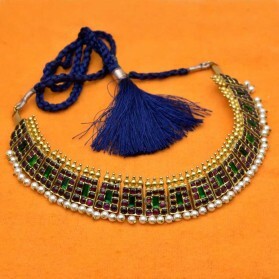 It will give a trendy as well as ethnic touch to your Beauty on festive occasions and Marriages. There cannot be a woman, who does not adore herself with minimum jewellery. Here is a Designer Simple Wear Combo Of Chain, Pendant, Ear drops and a Bangle with the suitable pockets of every women. There cannot be a woman, who does not adore herself with minimum jewellery. Here is a designer simple wear Combo Of Chain, Pendant, Ear studs and a Bangle with the suitable pockets of every woman. This stunning necklace has gold plated designed circular Pendant in round mesh chain with sparkling beads inside. It is best suited for Teenagers for Parties, Weddings and Engagement functions.